Ressect ENTOGRAN provides all the ingredients representing a complete diet for ornamental fishs that do not feed purely on plants. 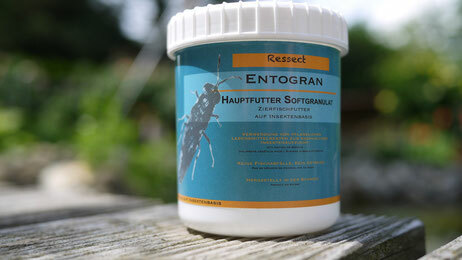 ENTOGRAN consists of more than 70% insects and other natural ingredients. 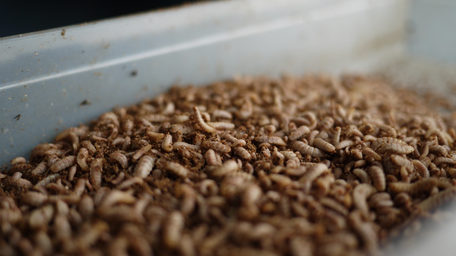 The used insect larvae of the black soldier fly contains a high proportion of protein, which is why the larvaes are used in fish food aquaculture as a sustainable substitute for fishmeal. 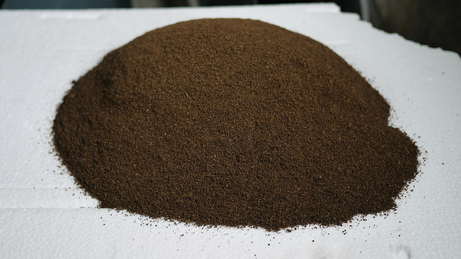 In order to prevent overfishing, Ressect does not use fishmeal in its fish feed products. Further, the feed does not contain any grain or meat waste to meet fish's natural diet. If you want to buy Entogran directly please get in touch with us via the contact form. Insect meal from insects bred in Switzerland. The insect meal can be added as a high protein ingredient to animal feed. The larvae of the soldier fly can be used as live feed. Either for fishers to complement their bait selection or to feed terrarium animals as the larvae is a calcium-rich feed addtion. 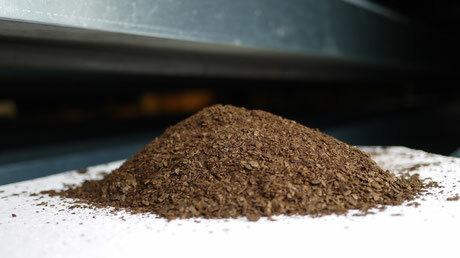 The vegetable food residues are processed by the insects to compost. The compost is supplemented with additional micro-organisms, so that nutrients and minerals are available and quickly to absorb.